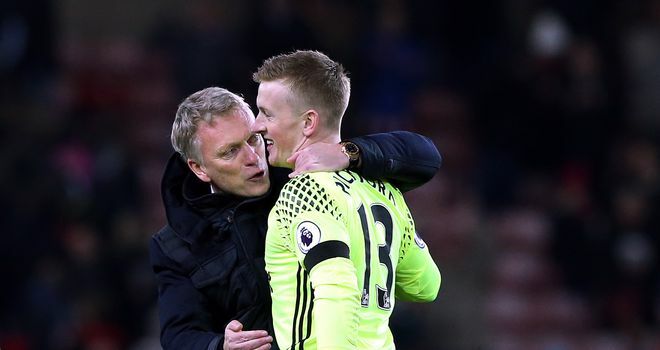 Jordan Pickford would be "stupid" to consider a move away from Everton this summer, says former boss David Moyes. 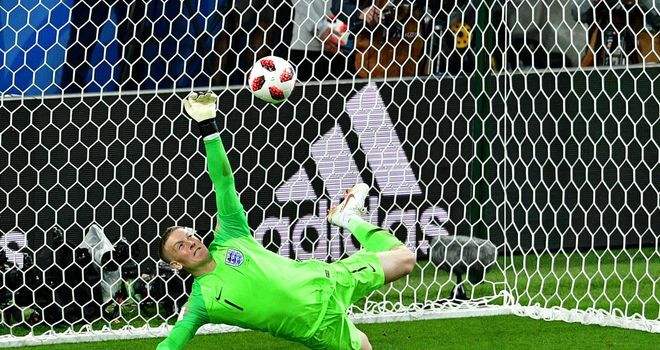 Pickford cemented his position as England's No 1 goalkeeper with a series of impressive performances during the World Cup in Russia. The 24-year-old has been linked with a move away from Goodison Park although Sky Germany understands Bayern Munich are not interested in Pickford, contrary to reports. Moyes believes Pickford should continue his development at Everton after a successful summer with the Three Lions. "I think Everton is the right club for Jordan," Moyes told The Sun. "It's a big club, he's only just moved and I would say to him it would be stupid to even consider another move if there was to be an option for him. "I think it will help him being at Everton because he will get enough work and he's got a chance to develop without every single thing he does being scrutinised. "He is still young and he just needs to keep getting his games in. The last thing he needs to bother about is any speculation. "If you go to the World Cup and do as well as he has done, you've shown you can stand on any stage. But all he needs to do is go back to Everton, keep working and look to improve. Don't let anything slip, don't be complacent. "At the moment he is a young player who has played very well. But the key to being a top player is going back and performing just as well." Moyes, who managed Pickford at Sunderland, believes the goalkeeper has the potential to remain England No 1 for the next decade after fending off competition from Jack Butland in Russia. "Near enough everybody accepts him as England's No 1 now and, at the age he is, that shows how good he is," said Moyes. "But there's also a chance that if he does it right, there is longevity for him. He could easily be England's No 1 for the next 10 years." Pep Guardiola has plenty of options for the Manchester derby. Who should he pick? Ole Gunnar Solskjaer has big decisions to make all over the pitch for the Manchester derby. Who should he pick?